Functionality and design. Taken right to the edge. 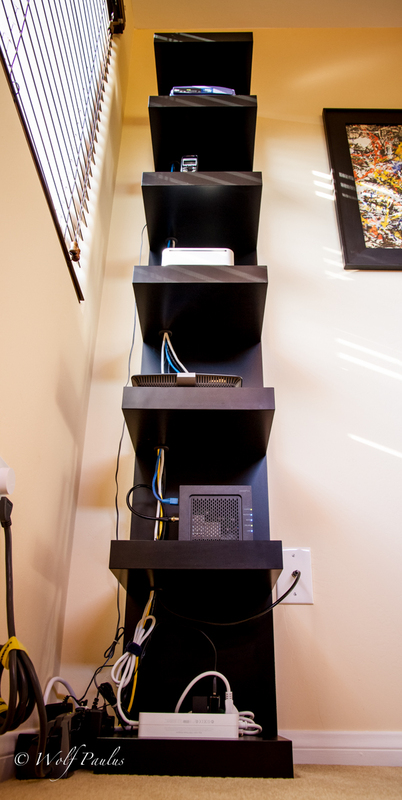 When we envisioned a new shelf, to provide a place for all your home network equipment, we landed on a remarkably elegant and stable design. But it’s nearly impossible to make a rack so stylish and so tall, without sacrificing strength or beauty. Creating the stunningly tall design of this new vertical shelf, took some equally stunning feats of technological innovation. We refined, re-imagined, or re-engineered everything about it from the inside out. 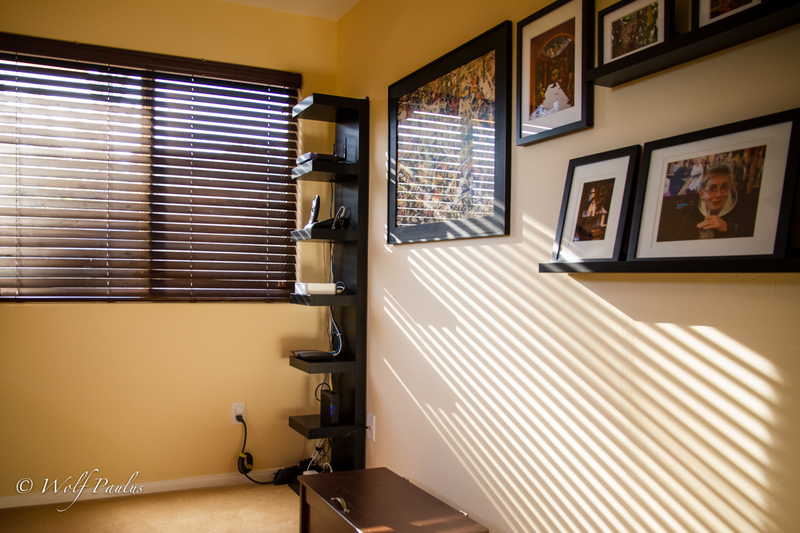 The result is an elegant 7 level shelf that’s as much a work of art as it is state of the art. We could have taken the easy way out and designed something more reasonable and less remarkable. But we didn’t. We took iKea Lack and made it better, re-envisioned how cables would pass straight through the shelves. 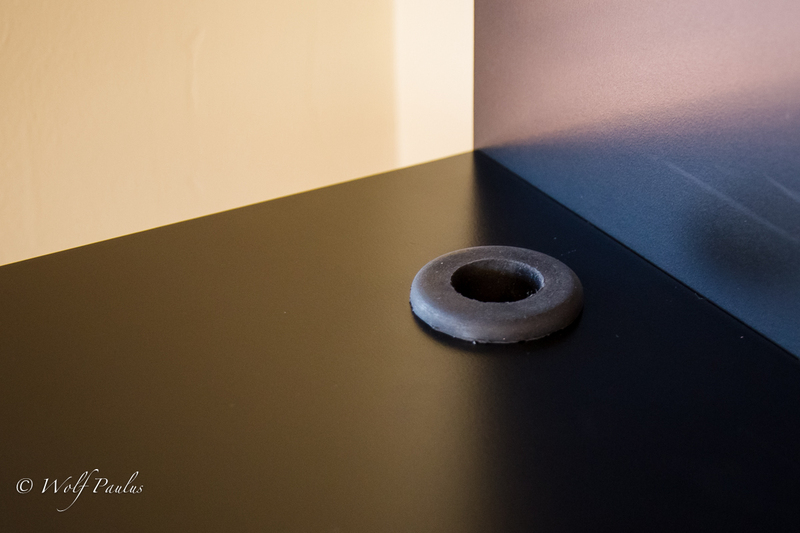 We cared deeply about high quality connections and protect wires from chafing against drilled holes by using professional grade and precisely manufactured rubber grommets. We’ve gone to extraordinary length – and height. Stand in front of iRack and something incredible happens: The world around it doesn’t disappear. In fact, iRack fits right in. To create a vertical shelf this integratable, we pushed every limit, rethought every detail, and advanced iRack in the most astonishing ways. A modern but robust 7 level vertical shelf this tall is almost impossible to build, using traditional materials and methods. So we searched far and wide for other ideas how to create a seamless, precise, and superstrong shelf framework. And we found one in a lightweight solution that utilizes a light, yet robust cardboard honeycomb core, framed by a 10 millimeter particleboard, and covered all around by an extremely strong 3 millimeter fiberboard, and a final coat of Acrylic paint. Each of iRack’s composite board shelves can sustain a load of up to 3,000 grams (7 lb.). Innovations at all seven levels. One of the biggest challenges our designers faced was how to avoid sharp edges or anything that might cut or abrade a cable’s plastic outer insulation. 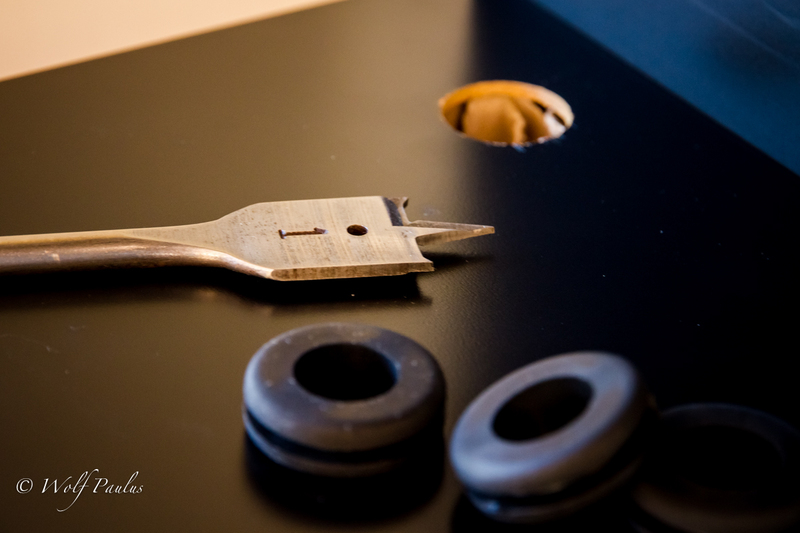 We partnered with a Milwaukee world-class electrical supplies company to produce rubber grommets that would perfectly fit the 1 inch diameter passthroughs. 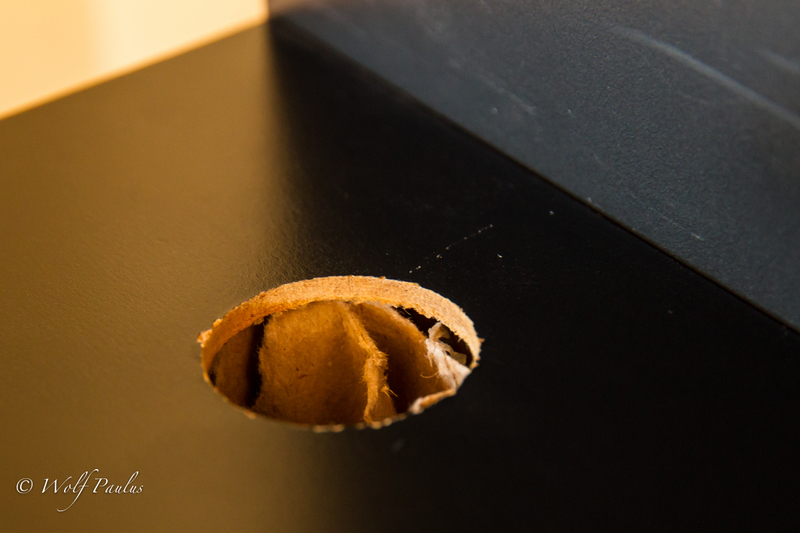 The grommets’ grove width needed to be exactly 1/8″, the width of the enclosing fiberboard. Never before has this degree of fit and finish been applied to a home networking equipment shelf. The environmentally friendly iRack design is free of many harmful toxins, including mercury, arsenic, BFRs, and PVC. It’s fiberboard, particleboard, and paper, all already been produced with post-consumer content, are likely to be recycled and reused again. iRack is 300 millimeters wide, 280 millimeters deep, and a stunning 1,900 millimeters high. Each shelf can sustain an unprecedented 3,000 grams.